Thank you for your interest in becoming a member with the Home Builder’s Association of San Juan County. In this folder, you will find all the pertinent information regarding our Association and an overview of the benefits and criteria. Our association serves the San Juan County. One third of the membership is composed of builder members. Associate members comprise the other two thirds of our membership. The annual membership fee is $670.00 for builders and associates or $100.00 for an affiliate – giving membership in three home builder associations: the local (HBA of San Juan County) as well as the state (NMHBA), and national (NAHB) Home Builders Associations. Each month members receive informative newsletters from the national association and our local association, which contain industry-related articles. Also, all information is online NAHB.org. Our HBA holds General Membership Luncheon Meetings are the third TUESDAY of each month at a designated place in Farmington at 11:30 AM or at the St Claire’s Winery or special announced destinations on the alternate month on the third Thursday at 6:30 PM, The networking social begins at 6:00 p.m. and dinner begins at 6:30 p.m. Each of our meetings has a program or a guest speaker. We hope you will be able to join us at the next meeting. The association also puts on several instructive seminar/workshops each year for members. San Juan County Home Builder’s also hosts the annual “Home Improvement and Building Expo” each spring, SJC HBA Golf Open, and other major fund raisers such as Clays for Charity and Pedal 4 Paws. All our members are invited to participate with a booth, home or sponsorship. This event provides excellent exposure for our association and its members. 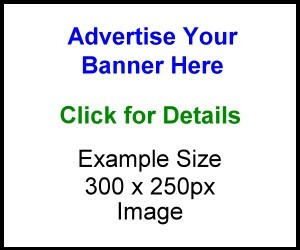 Our Professional Women’s Council @ $100.00 per business and Remodelers Council @ $60.00 per year. We meet once a month with our education speaker’s and are active in all the events which gives you the advantage of networking one on one with other members. Our association is also very fortunate to have the “Builder’s Trust,” worker’s compensation insurance which you are eligible for as a member of NMHBA. 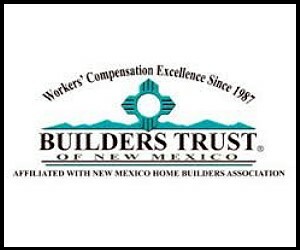 When you join Builder’s Trust of New Mexico, you can take an active role in your workers’ compensation insurance process. Participants work with our Safety/Loss Control Representatives to keep their job-sites safe, losses low and claims to a minimum. Premiums are pooled together to pay claims and other expenses – just like any other insurance company, except that any profits, interest, and reductions in overhead are returned to the participants in the form of dividends and lower rates. Additional savings can be gained by good claims management and proper underwriting. NAHB offers the customer Advantage programs with discounts on selected items each year. Review the enclosed packets and take advantage of all NAHB.org has to offer you as a member. Please fill out the membership application (both sides) (Click HERE For printable Application); enclose your check for dues and mail in the return envelope in this folder. Your application will be processed at the end of the month that it is received.